How long have you been volunteering for BNRC? Since spring 2013. I retired in summer 2011 from Utica College, after a career in college student affairs, and moved back to the Berkshires (I grew up in Pittsfield). Carol and I spent our first retirement year renovating our fixer-upper in Lenox. I’d been volunteering at Pleasant Valley Sanctuary on trail maintenance (I’d been a camper there during my childhood), but they weren’t keeping me busy enough outdoors. BNRC has solved that problem! While there are quite a few I enjoy, I’d have to say it’s Parsons Marsh in Lenox. Even though its public access trails and boardwalks are not yet developed, I’ve been out there with BNRC staff on a number of occasions in all seasons exploring the various parcels that make up the property, scouting its potential, removing debris and co-leading introductory hikes. 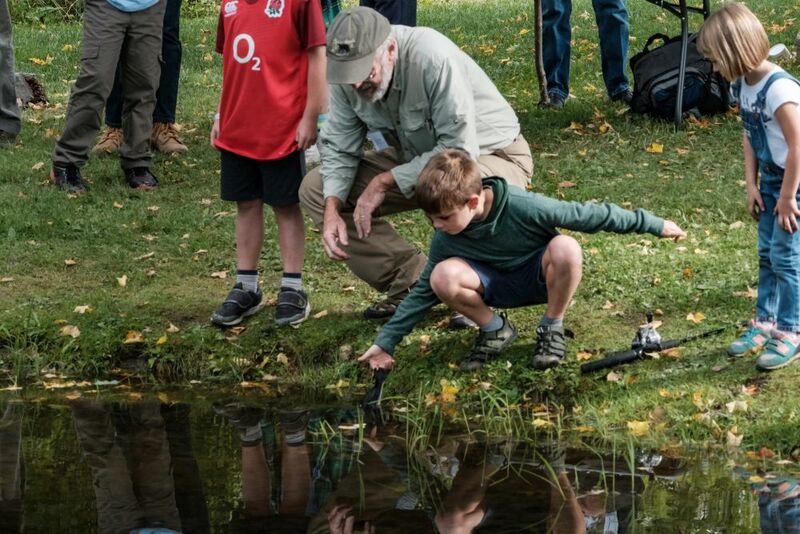 Its varied terrain with extensive wetlands, upland forests, geological formations and wildlife, so close to Tanglewood and other Lenox amenities and trails, make it well-worth the extensive investment of BNRC staff time and the resources of local donors. It’s also only a five-minute drive from home! 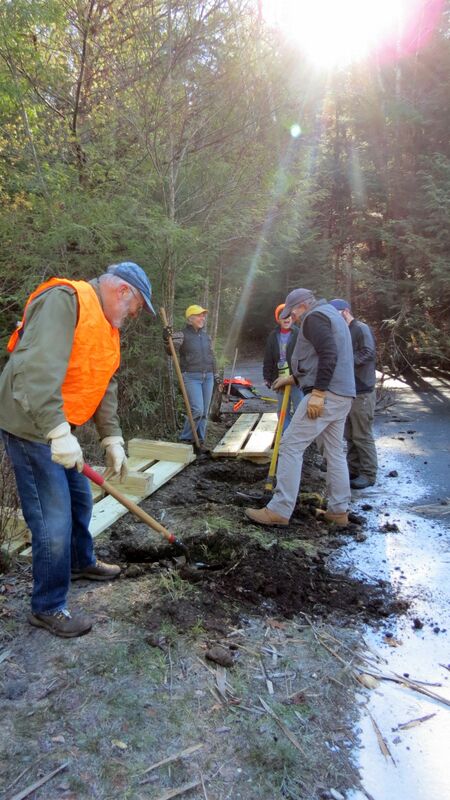 Volunteers installing bog-bridging at Bob’s Way, Monterey. There are many. While it certainly feels good to be out there helping, my primary two motivators are the outdoors and the people. Most of my volunteer energies are focused outdoors, so I get to enjoy our woods and waters while enhancing them both for my fellow humans and the critters who live out there fulltime. Other folks who are drawn to outdoor activities—whether as fellow volunteers, land trust staff or hikers, tend to be folks I love getting to know and spending time with. But I sometimes walk the trails or paddle solo, as I love that too—it’s more contemplative, and I may see more wildlife, even if I’m carrying clippers. As an amateur photographer, my camera’s always with me, and a bonus is that I get to share some of my photos on the websites I manage (Lenox Land Trust and Richmond Pond Association) as well as with BNRC and the other groups for which I volunteer. Lastly, I’m very distressed at what the current U.S. administration is trying to do to undermine decades of hard work that has enhanced our National Parks, reduced pollution, and put us on track to address climate change. As a life-long educator, I’ve always believed and taught the mantra “Think globally, act locally.” Since the Berkshires are my home again, I’m focusing most of my energies here. I’m very fortunate to be able to work with others, through BNRC, to help preserve the rural character of the Berkshires both for today and many tomorrows. Ken is also president of the Lenox Land Trust, president of the Richmond Pond Association, and volunteers for several other local non-profits.